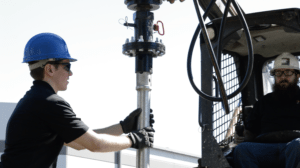 Round shaft helical piers offer superior strength and rigidity making them the ideal solution for compression applications. 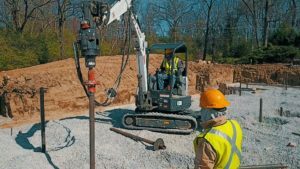 The problem has always been making the connection safely and quickly, as torque increases the holes begin to deform causing further delays in the installation process. Consequently, the installer spent more time making the connection than installing the pile.